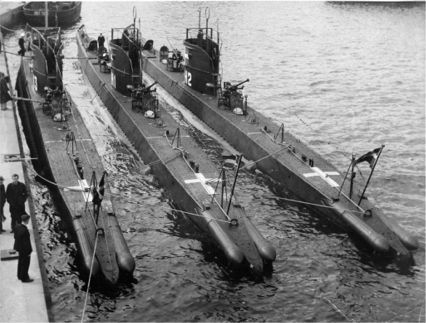 Here are three of the submarines of the H Class, from left HAVKALEN, then HAVMANDEN and HAVFRUEN. A fifth sub of this class was financially approved, but was later cancelled. All four submarines were scuttled at Holmen on August 29, 1943 and was never used again. 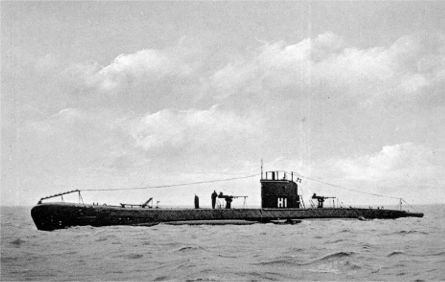 The submarine HAVMANDEN, the first of the four subs of the H Class.